I think we can all agree that homemade cake is the best tasting. But, I don't always have the extra time to whip one up. So changing up a box cake mix is the next best thing! Strawberry shortcake is one of my personally favorites. For Easter dinner, I took a white cake mix (you can do yellow as well) and followed the directions on the box. As my final step, I added a 1/2 cup of sour cream and a teaspoon or two of almond extract (to taste). It makes the cake SUPER moist and I just LOVE that hint of almond! YUMMY! For my strawberries, I like to use my hand dicing tool. The strawberries come out in perfect little squares. I also add around 1/4 cup of sugar to the bowl of cut strawberries for a bit of flavor. 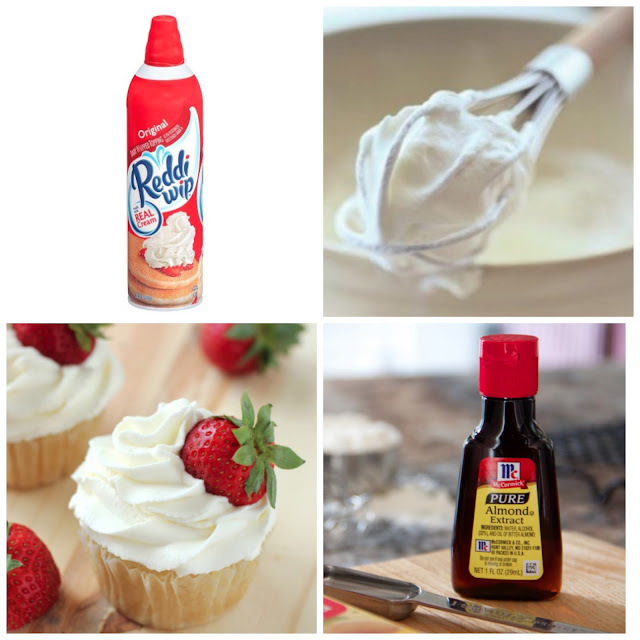 Top it all off with homemade whip cream (I mix a bit of powered sugar in mine) or if you are in a pinch, just grab a can!